Provo's Neighborhood Program provides a unique opportunity for residents to give input on land use matters. 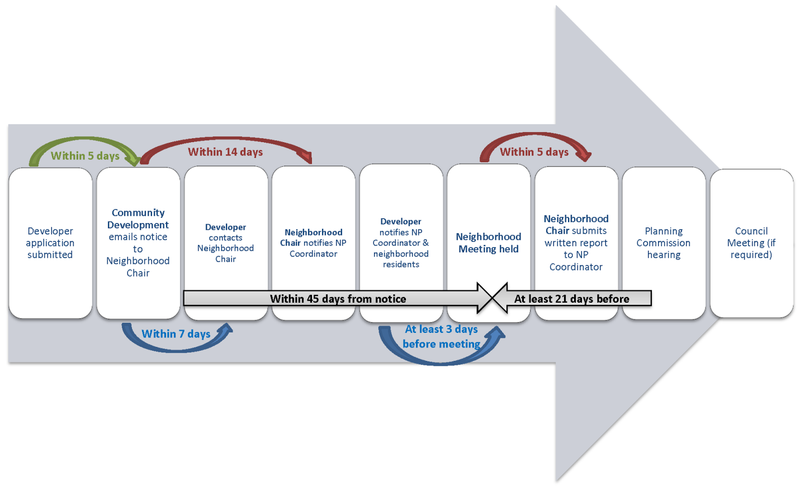 This is outlined in Provo City Code and neighborhood meetings held regarding development applications are crucial for providing feedback to Community Development as well as City Council Members. Neighborhood Chairs (and Vice-Chairs) are notified about land use applications submitted to Provo City and are the representatives for their neighborhoods in this process. For more details on this process as well as links to online forms, go to the Neighborhoods - Land Use page.